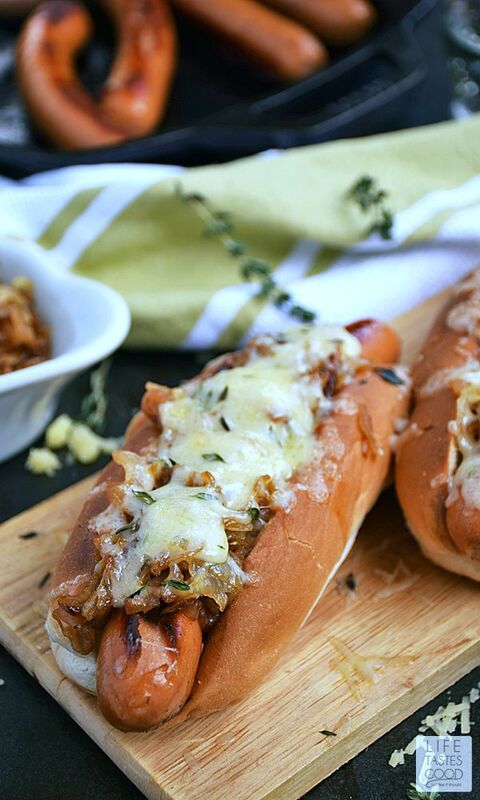 French Onion Hot Dogs are just like your favorite French Onion Soup, but in a handy bun and extra delicious because it's a hot dog!! 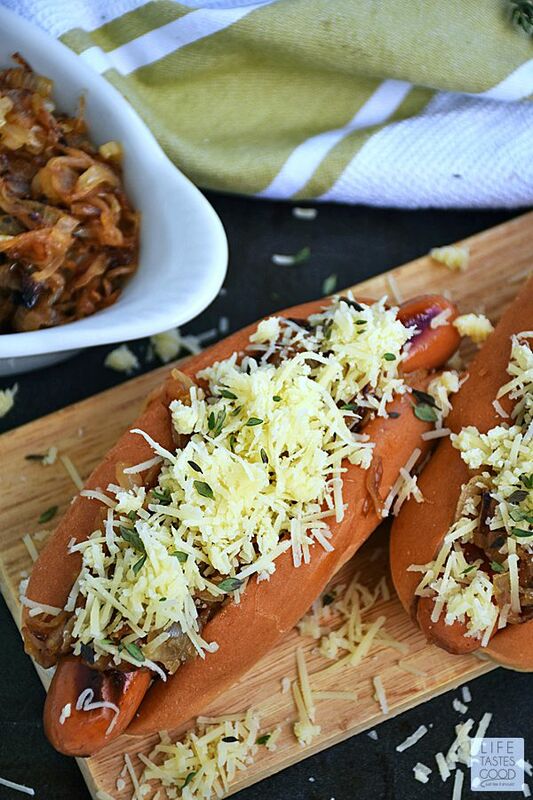 These gourmet hot dogs start with a slightly toasted bun slathered in garlic butter and topped with an all-natural hot dog, savory caramelized onions, melted gruyere cheese, and finished off with fresh thyme. Oh my yumminess! Just imagine your first bite... 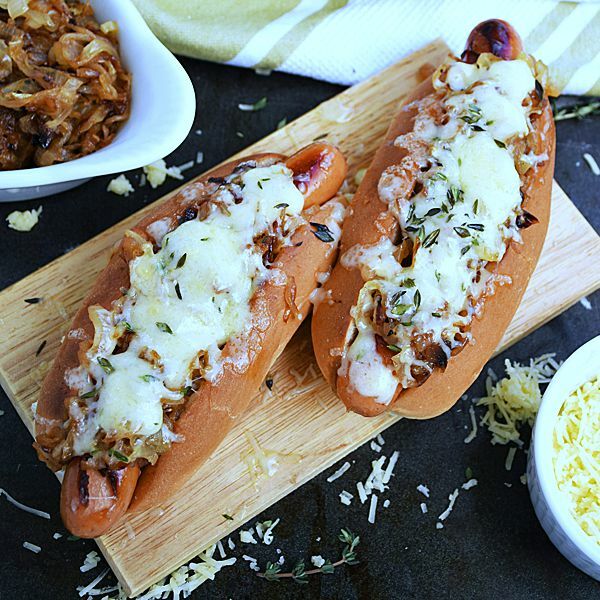 The slightly crispy, garlicky bun; the crunch of the hot dog; the savory sweet goodness of the caramelized onions mixed with the creaminess of the melted gruyere and finished off with fresh thyme for that little extra somethin' somethin'. 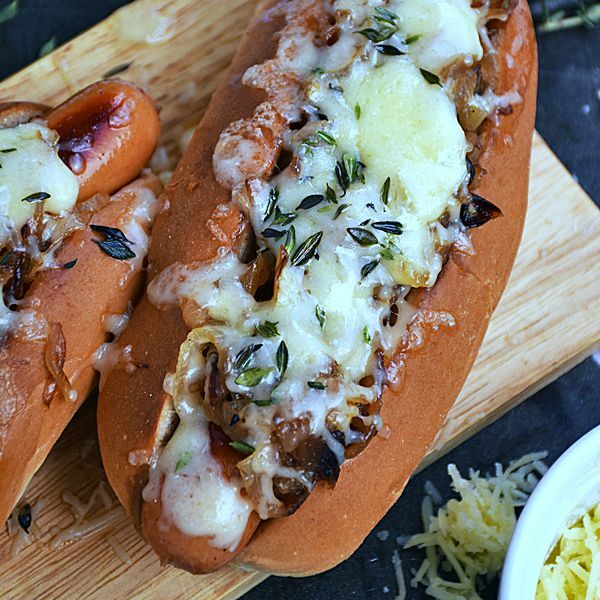 The flavors of this French Onion Hot Dog will linger pleasantly, leaving you so satisfied you won't even want dessert! 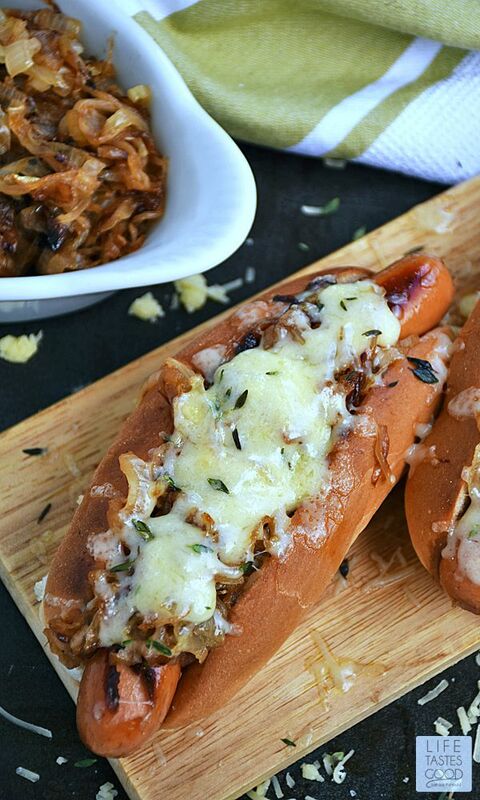 To make this gourmet dog, we need to caramelize some onions first. 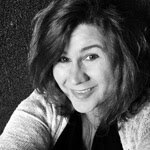 Click here to follow my step-by-step instructions. Caramelizing onions is very easy to do, but it is time consuming, so make sure you give yourself an hour to get the job done. You can make them up ahead of time and just reheat when ready to enjoy them with the hot dogs. To cook the hot dogs, melt 2 tablespoons butter in a skillet over medium heat. Saute hot dogs in skillet until well browned on all sides and cooked through. Prepare the garlic butter while the hot dogs are cooking by combining 4 tablespoons butter with 1 teaspoon freshly minced garlic and a pinch of salt in a small microwave safe bowl. Microwave for about a minute to melt the butter and soften the garlic. Spread each hot dog bun with the melted garlic butter and toast under the broiler until very lightly toasted. Remember to leave the oven door ajar when broiling and watch them carefully so they don't burn! and a generous heaping of caramelized onions. 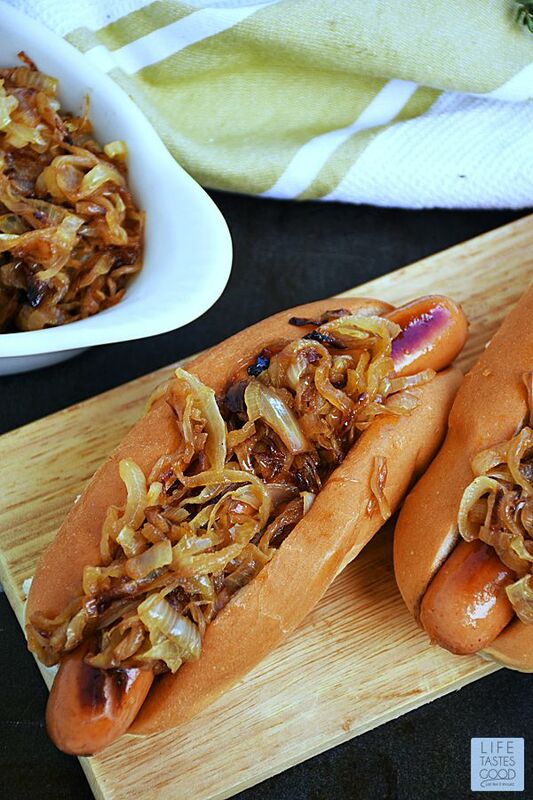 Be sure to divide the onions evenly among the hot dogs you are making. We wouldn't want to short change anyone when it comes to scrumptious caramelized onions! 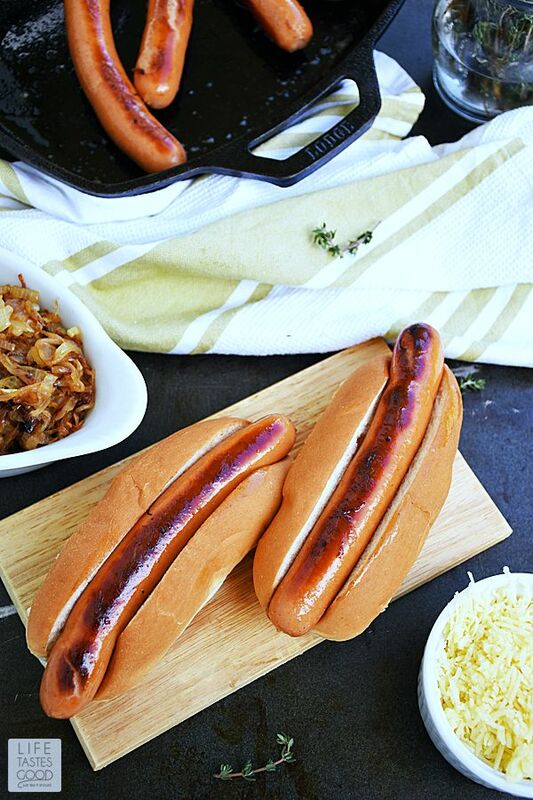 Place the hot dogs on a foil lined baking sheet. Melt the cheese under the broiler. Again, remember to leave the oven door ajar and watch them closely! The cheese will melt quickly. Be sure to remove it from the oven before it burns! To cook the hot dogs, melt 2 tablespoons butter in a skillet over medium heat. Saute hot dogs in skillet until well browned on all sides and cooked through. It should only take about 7-10 minutes. Prepare the garlic butter while the hot dogs are cooking by combining 4 tablespoons butter with 1 teaspoon freshly minced garlic and a pinch of salt in a small microwave safe bowl. Microwave for about a minute to melt the butter and soften the garlic. 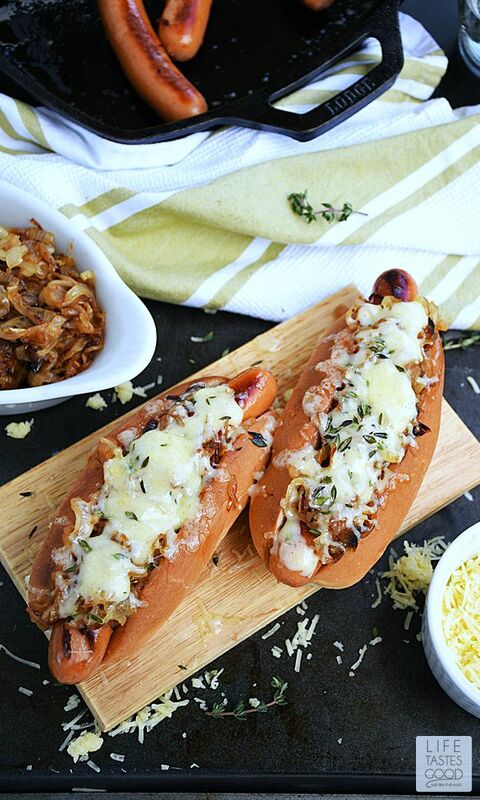 Top each bun with a hot dog, and a generous heaping of caramelized onions. Be sure to divide the onions evenly among the hot dogs you are making. Pile on the shredded Gruyere cheese. I used about a tablespoon or two per dog, but go with how much or how little you prefer. There are no rules here, just deliciousness!